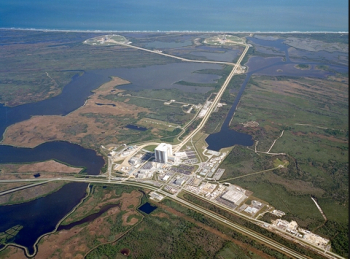 The 2011 conclusion of NASA’s 30-year Space Shuttle Program posed a major challenge for the Kennedy Space Center, the historic spaceport dotted with facilities purpose-built for shuttles. Eleven months before the shuttle program ended, NASA developed post-shuttle plans for its facilities and operations. 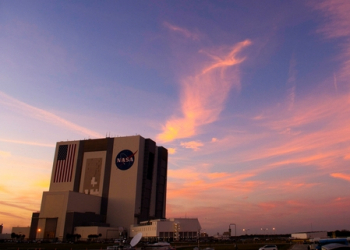 Five years later, KSC is into the final leg of its transformation. The changing face of KSC has a primary focus of ensuring it remains the key destination for flagship launches into space. Those changes range from its multi-faceted role, through to physical alterations to its facilities. Some of its iconic buildings, such as former shuttle launch pad 39B and sections of the center’s cavernous Vehicle Assembly Building (VAB), were repurposed to support NASA’s Space Launch System rocket and Orion crew vehicle, which are slated for human missions in the 2020s. 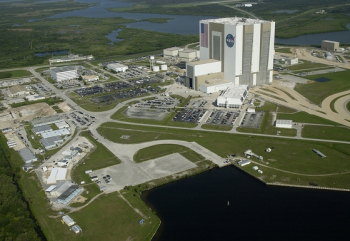 Other facilities and assets, however, such as NASA’s hangar-like orbiter processing facilities (OPFs) and the three-mile Shuttle Landing Facility (SLF), were not required for NASA’s future missions. Once the shuttles were retired to museums around America, KSC’s unused facilities and assets gradually became available to external partners including companies, other government entities and academic institutions. KSC also decided to offer its external partners spacecraft processing services and testing capabilities, such as manufacturing assistance, launch control systems sharing, vibro-acoustics testing, and cryogenic engineering. KSC established the Center Planning and Development Directorate (CPD), a new team within its command chain, to negotiate potential partnerships. The team handles public inquiries about using KSC property, assets and services. 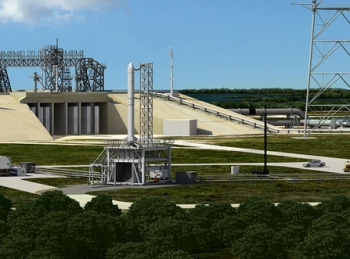 In addition, CDP oversees long-term master planning in order to effectively manage KSC’s growth. Scott Colloredo, director of Center Planning and Development at NASA’s Kennedy Space Center (KSC), spoke with NASASpaceFlight about KSC’s transformation from a single-program center to a multi-user spaceport – noting how innovative partnerships allow the center to become stronger and more flexible. “The center director made a bold initiative to go in this direction. And, frankly, it would have been easier to go in a different direction and not take the aggressive approach to allow companies to use the assets that weren’t going to be used post-shuttle,” Mr. Colloredo noted. The process of selection for facility users is one that is classed as “competitive and careful”, according to Mr. Colloredo. 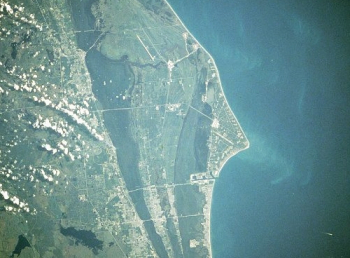 The first iconic shuttle facility to receive a new identity was OPF-3, which KSC leased to Space Florida, the state of Florida’s aerospace economic development agency. Space Florida subleased the facility to aerospace giant Boeing, which renamed it the Commercial Crew and Cargo Processing Facility (C3PF). There, Boeing will process their new CST-100 Starliner Spacecraft, which will ferry NASA astronauts to the International Space Station (ISS). NASA designated 39B as the launch pad for the agency’s future human missions to deep space, but it had no further plans for 39A. 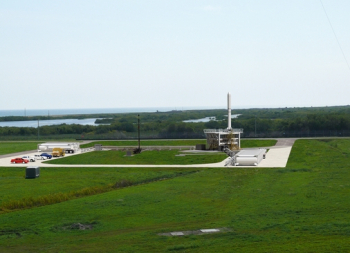 Launch pad 39A regained its purpose in 2014 when SpaceX leased it in order to launch the company’s upcoming Falcon Heavy rocket, as well as human missions to the ISS aboard the SpaceX Crew Dragon spacecraft. With 39A and other facilities, partners have freedom to modify preexisting structures. 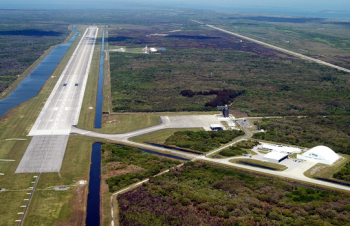 In June 2015, the shuttle’s former runway also took on a new role, when NASA handed the SLF’s operation and management to Space Florida through a 30-year lease. For years the SLF has been scouted as a prime location for horizontal space launches, including suborbital space tourism. The VAB also had space for new partners. While some areas of the facility are reserved for SLS assembly, others were vacant following the conclusion of shuttle operations. 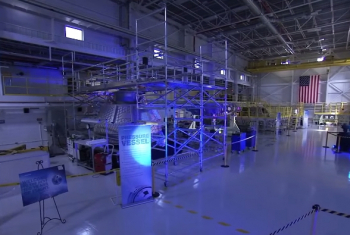 NASA announced that High Bay 2, one of the VAB’s four 456-foot-high assembly areas, was available to partners. Included with High Bay 2 were all three of KSC’s mobile launcher platforms (MLPs), the pedestals that Saturn rockets and space shuttles stood upon for launches. With most of the major former shuttle facilities either repurposed by current partners or available to future partners, KSC is developing into a bustling spaceport. The drive to expand KSC’s multi-user capabilities creates even more partnership opportunities. 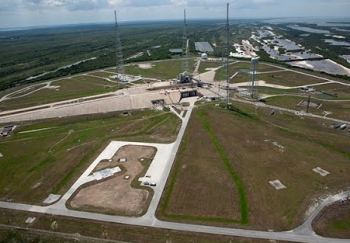 In July, NASA completed construction of KSC’s newest launch pad, 39C, located just within the perimeter of pad 39B. NASA hopes to attract commercial providers of small-class rockets to the pad – with Firefly Space Systems one of the many interested future tenants. 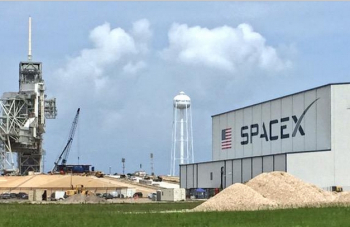 Launch pad 39C potentially will foster further growth of the small satellite launch industry as well as increase opportunities for universities and other institutions to fly their own spacecraft. 39C is envisioned to support a diverse range of users, Mr. Colloredo noted. “We saw a need in industry of not just one or two companies, but a few companies. We built this very inexpensive launch site. We’re up to probably 19 or 20 companies that have an interest in using the asset. “As far as the companies go, they’re varied. They’re all in the same general class of vehicle, but use different commodities. Some use liquid oxygen (LOX) and rocket-propellant 1 (a form of kerosene), some are LOX and methane, some use solid fuel, so they’re very different. “They’re different in maturity, but they all have a strong interest in launching ultimately from Florida. Since much of KSC shares nitrogen and helium sources, NASA will ensure that 39B and 39C activities are coordinated to avoid any resource use conflicts, Mr. Colloredo added. In addition, NASA never will allow the pads to host vehicles simultaneously. The end result envisions launches from 39A, 39B, 39C and the SLF to drastically increase the launch rate from KSC. In addition, increased launches from Cape Canaveral Air Force Station (CCAFS), KSC’s neighbor on Cape Canaveral, will further fill the area’s skies. Last month, for instance, the company Blue Origin announced plans to launch new rockets and human spacecraft from CCAFS. The increased launch rate will challenge the Eastern Range, an area of sky and ocean maintained by the Air Force that allows rockets to fly within a safe zone that does not endanger people. The range parameters are not constant across launches and depend on the type of rocket being launched. The time needed to establish the range parameters and clear the area of people could be strained by a greatly increased launch rate and a much wider variety of vehicles. However, the Air Force is working to meet the challenge. “We’re now known – between KSC and the Cape Canaveral Air Force Station – as the busiest spaceport in the world,” added Mr. Colloredo. “The launch rate over the next two years is higher than we’ve ever seen. So, that does provide unique challenges. “The range has always accommodated any rocket that needed to get off the ground. 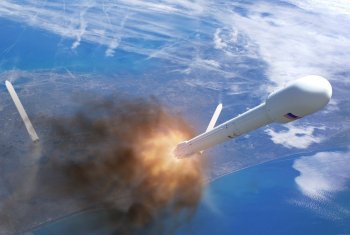 But, going forward, the launch rate – particularly with a diverse number of launchers that aren’t launching the same thing over and over – the range will have to morph, and the Air Force is being very progressive. “They see the changes coming. Some of them are their rockets, some of them are our rockets and some of them are commercial. They recognize that and they’re working toward that. I think a lot of people probably forget the range has been able to do a high number of launches. According to Mr. Colloredo, KSC’s growth is part of a global rise in access to space. KSC and commercial spaceports cropping up around the world can be mutually beneficial, he noted. The SLF, for instance, can benefit from a network of similar facilities for use in point-to-point space flight, a concept in which suborbital space flights are used to send people around the globe much more rapidly than with conventional air travel. “I’m a firm believer that a rising tide raises all boats. Whenever states, countries, companies, any organization decides to get into space, we view that as a good thing. We think we’re the world leader in a lot of areas – capacity, volume, just basic capabilities across the board – but we welcome the world to join us in that. With KSC partnerships growing and multiple iconic center facilities given new life, Mr. Colloredo said that CPD has been hugely successful, but the team’s work for KSC is far from over. “I would say Center Planning and Development’s greatest accomplishment would be transforming the art of the possible for a NASA center, particularly at Kennedy. I don’t think in our wildest dreams we would have envisioned Kennedy on the cusp of what we’re doing now just four years ago. “I think the biggest accomplishment is just creating an environment for the successes we’re seeing. We’re not taking that for granted. We’re making sure every day that future partnerships can take advantage of that as well. “Even though we’ve engaged quite a few partnerships to get where we are, we’re not done yet. We’re still talking to companies that want to come to Florida, particularly in the small-class area.